Currency is an annual festival that blurs the borders between dance, performance art and contemporary circus. It connects artists from across Europe, presents process alongside performance and encourages conversations. A DOUBLE BILL showcasing the best work we’ve seen this year from contemporary European artists who are pulling their form apart. An interactive performance and installation POP-UP CAFE curated by Hunt and Darton. BLIND DATES, the result of miniature residencies in which ideas are exchanged between UK artists from different disciplines. Artists include Alice Allart, Matilda Leyser, Laila Dialo, Ben Duke, Mamoru Iriguchi and Tim Lenkiewicz. CURRENCY CONVERSATIONS, an opportunity for artists and audiences to put our practices and programme under the microscope. Currency showcases work on the edge of what you would normally see. Dive in for a full on four days that guarantee to entertain, provoke and please your senses. Currency Conversations: How does cultural exchange shape our artistic lives? Chaired by Adam Pushkin, speakers include Ghislaine Boddington (performing arts specialist), Eddie Nixon (The Place), Freddie Opoku-Addaide (choreographer), Tereza Porybna (Czech Cultural Institute), Christoph Jancowski (British Council). Clément Dazin was interested in movement from a young age, and started gymnastics aged six years. Ten years later he was practising circus and in particular juggling, had joined a company and started to create his own work. He continued to study and took classes in hip hop, contemporary dance, acrobatics and theatre. Performing regularly he discovered that each technique had its limitations. 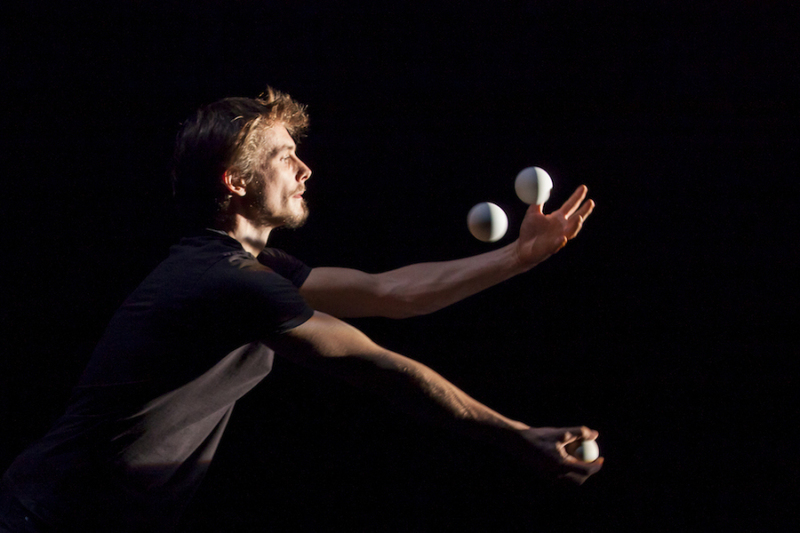 In 2008 he attended the Circus School of Lyon followed by the Centre National des Arts du Cirque (CNAC) in 2009. He worked with Philippe Genty, Aragorn Boulanger, Fatou Traoré, Johanne Saunier, Julien Clément and Bruno Dizien, who all influenced his work. He was fascinated by finding links between contemporary dance, hip hop and juggling, and began to bring these separate universes together. 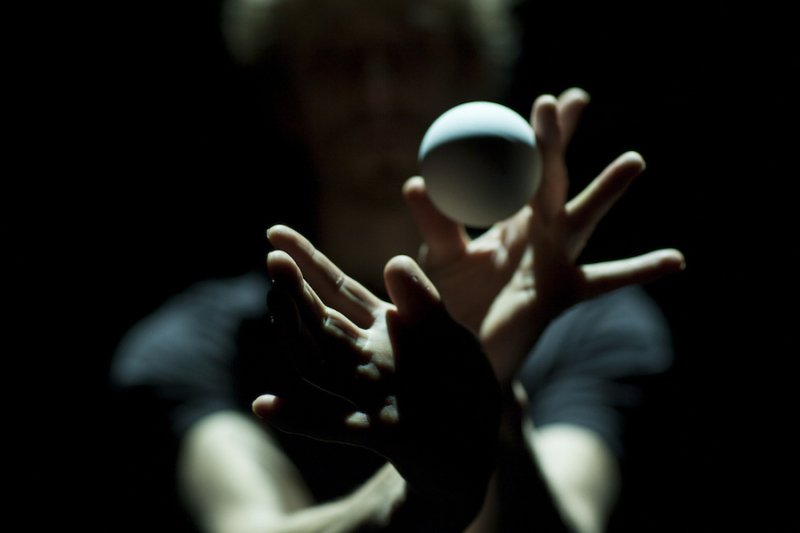 This allowed the juggling to be more than a technical performance. Anna Maria and Jarkko both work as choreographers and performers and have been collaborating in different roles, groups and contexts since 2009. In 2012 they both graduated from the MA Choreography programme at the Theatre Academy Helsinki. Their latest joint work includes Dig My Jock Live Version (Zodiak Centre for New Dance, Helsinki 2013) and CMMN SNS PRJCT (Cheap Pirate Copy) (Takomo Theatre, Helsinki 2013). They are currently freelancing and continue to develop their work together an in a variety of working groups. They are both members of Reality Research Centre, a company working widely in the field of performance. Cridacompany started in 2007. Half of the company are from France, the other half from Catalonia. Avid experimenters of songs, silences, body states and mastering the art of capsizing feelings by blowing along the froth of words, its members act like a small creation factory – with the heart of a traveler and the soul of a poet. From the minds of the two acrobatic dancers who comprise the team – Jur Domingo and Julien Vittecoq – arise multiple creations: danced forms; concerts among friends, improbable performances and juggling of little elements, photos exhibiting rather uncontrolled hazards – all being trivial fragments torn from the here and now, whose emotions arise through the hole of the cracks they dig in our everyday life. 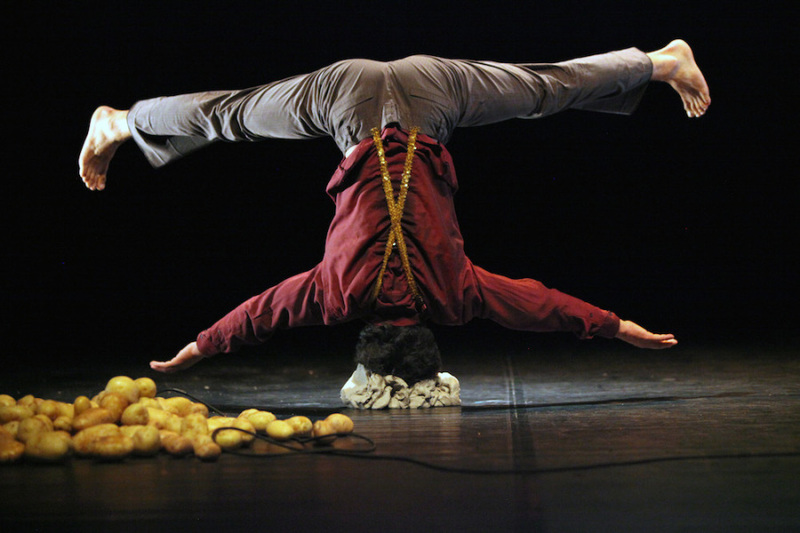 Mainly inspired by street theatre and trained at the Lido, Toulouse’s Circus Arts Center, the artists remain free and unclassifiable, embracing creation from every possible resource. Spitfire Company is an artistic platform that includes physical, visual, music and dance theatre. 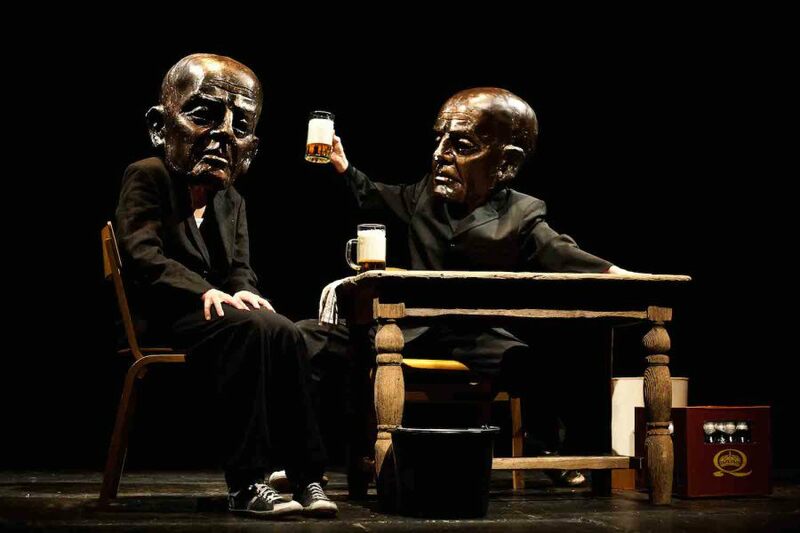 It is currently one of the most progressive ensembles of author theatre in the Czech Republic. 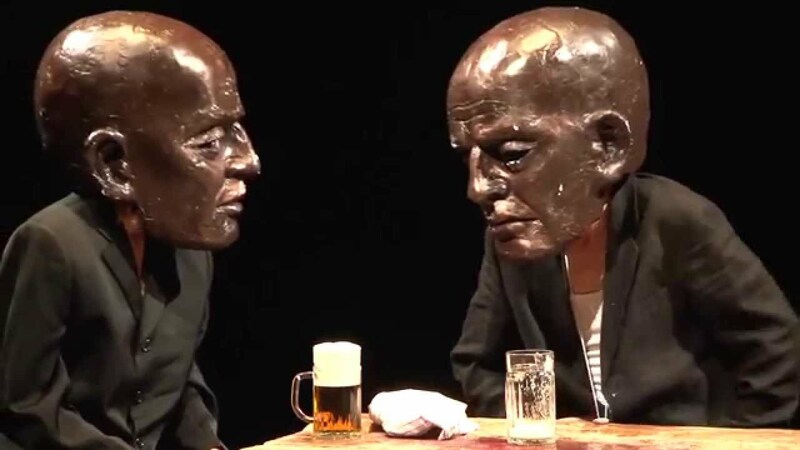 The ensembles charactistics are; an emphasis on physical acting on stage, experimentation with new theatrical features, existential imbalance of the figures, the utilisation of different genres and a quest to find new visual stimuli. Sònia Sánchez, who has been associated with flamenco since she was born, is committed to her dancing, relentlessly exploring and pushing it further. In 2002, she decided to start a new phase of deeper inquiry into education, creation, composition and transmission. With no desire to disregard the revolutions that preceded her, Sònia has developed a method of physical learning and training inspired by Body Weather and flamenco. Viktória Dányi, Csaba Molnár and Tamara Zsófia Vadas are three young contemporary dancers who started working together in Bloom! dance company. Their first piece entitled The End is Near premiered in 2012. For Skin Me, they are working independently from the company, as individual artists staging an original piece based on highly personal ideas with tow experimental musicians. Julia Christ was born 1970 in Bielefeld, Germany. After her A-levels and two years at the University of Bielefeld studying sociology and philosophy, she successfully completed an apprenticeship as a carpenter. In 1997 she started at Die Etage circus school in Berlin, specialising in acrobatics and balancing. In 1998, she focused her attention on balancing work at the Higher Circus Arts School in Brussels. Julia was part of the Feria Musica troupe and participated in the show Calcinculo. Before perfecting her handbalancing technique, she spent two months in Kiev where she took advantage of technical training with Vitold Antonovitsch. She was part of the show Droit comme la pluie, choreographed by Gilles Baron (2004) and continued to work with him on several other works (Oozing Tears 2006, Animal Attraction 2011). In 2008 she presented her first solo work, in cooperation with Sasiko Yoshimura, entitled se perdre fair partie du jeu. 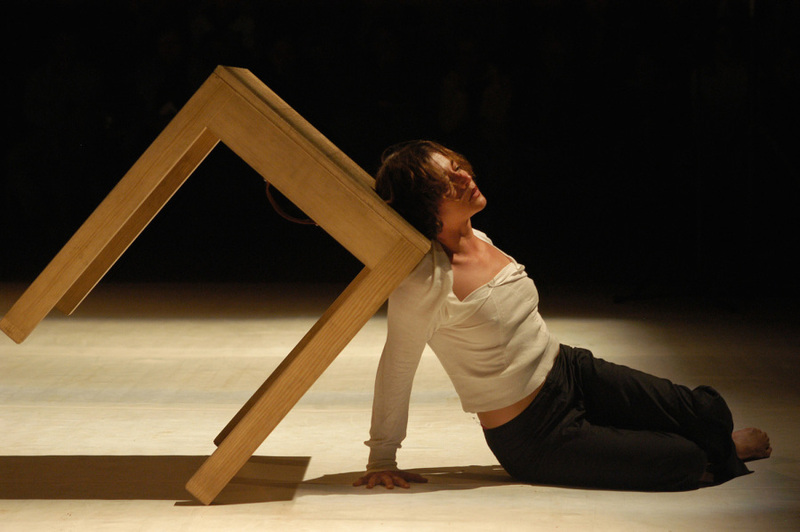 In 2009 she developed her work, in cooperation with Ante Ursic in a solo entitled Bambula . In 2011 she co-founded the Berlin based company Cie4, and created Unruhe bewahren. She participated in the production of Jean-Baptiste André’s show Qu’après en être revenue (2010) and was co-writer for Pleurage & Scintillement (2013). Agata was born in 1981 in Poland. She is a choreographer, performer and dancer. In 2009 she graduated from the Institute of Dance Arts at the Anton Bruckner Privatuniversität in Linz, Austria (Master of Arts). Before starting professional education in the field of dance she was a student of Applied Social Sciences at the University of Warsaw. She is a recipient of the DanceWeb 2006 scholarship program. From January till June 2007 she continued her education in the Centre Choreoghraphique National (CCN) in Montpellier as a participant of the ex.e.r.ce program (under the guidance of Xavier Le Roy). She works, among others, with a collective Superamas (You dream, BIG3 happy/end, Casino), Ivana Muller (60 minutes of opportunism) and creates her own work (installationsnowflakes, POLSKA, From A to P, Don Kiewicz & Sancho Waniec, Duel). She collaborated with Anne Juren, Marian Baillot and Alix Eynaudi on the piece Komposition. Together with Alix Eynaudi, she created a video performance The Visitants and later – a play Long long short long short. Her last production Duel had its premiere in November 2013 in TQW, Vienna. Since 2012 Agata is supported by a modul dance program. Co-presented by The Place and Crying Out Loud in partnership with the European Commission Representation in the UK and supported by EUNIC London with the help of Institut Français du Royaume-Uni, the Goethe-Institut London, the Finnish Institute, the Finnish Embassy, the Embassy of Spain, the Instituto Cervantes in London, the Hungarian Cultural Centre, the Polish Cultural Institute, Institut Ramon Llull, the Czech Centre, Aerowaves and Modul-dance.